So, this is our first update that is 2 months at once. The last couple of months have been packed with activity on our renovation side of the business! It’s been an overwhelming and incredibly exciting time for our team. In total, we have submitted around 80 offers, have a split-level under contract to close at the beginning of September and another that closed just over a week ago! On top of ramping up our progress on the acquisitions side of our business, we also closed the chapter on our project in Downers Grove! The property has successfully closed and is now occupied by extremely happy homeowners. Let’s take a close look into each of our new and completed items. 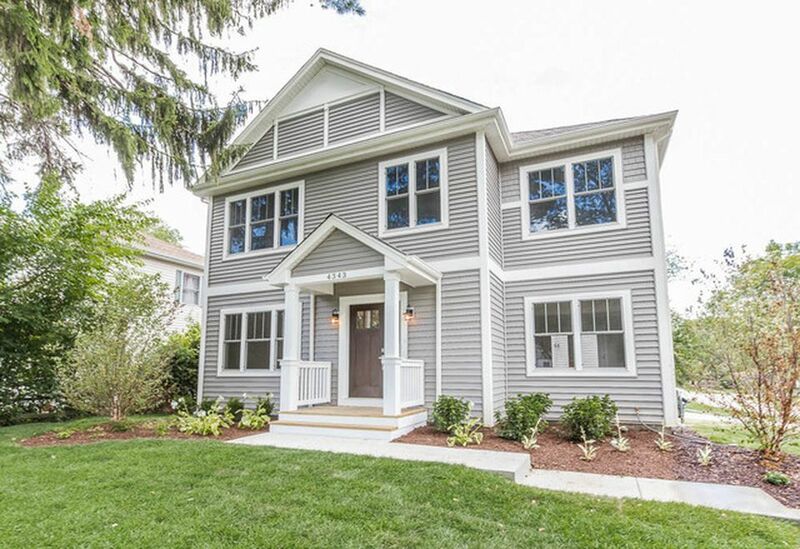 Wrapping up our project on 4343 Elm St., Downers Grove was an amazing achievement for us. We have owned the property since 2015 and have run into some very interesting speed bumps through the renovation project, ranging from Village delays to a quitting contractor. It definitely tested our knowledge and ability as real estate investors and took some very creative work from all of our team to finish this one up. At the end of the day, the house was a true gem. The open layout paired with the thoughtful selecting of our finishes made this house one of a kind. We only had a few minor items come up in the homeowners inspection of the house, which were handled immediately and caused no delays. Although the project took longer than we anticipated, there were many amazing lessons learned, new relationships built, and a finished product we were extremely happy to put our name on! Our newest acquired renovation is locate in the South Burb village of Lansing. It is a 3/2 split level on a nice quiet street. The house is in need of a cosmetic renovation that we will be starting on following the labor day weekend! We built an entirely new scope of work and are going to be using some stylish new tiles, light fixtures and other finishes. We can’t wait to see how this one turns out. This is the first renovation we’ve purchase in months so we are incredibly excited to be working on something fresh. Stay tuned for more updates (and potentially a case study or two) on this property! We’ll likely share progress updates on our facebook page. You can follow us here! To wrap up our renovation side, we have ramped up our efforts on acquisitions with some strong goals ahead of us! Our first target to hit is 2 purchases per month, which we were nearly on track for in August (our second closing nearly missed the August date by 7 days!). By placing an actual number on how many purchases we wanted per month, we were able to work backwards on the equation to figure out how many offers needed to be made each day! By looking at that information, we have been successful in finding 2 new flips and many more potential opportunities. Because of our huge ramp up in deal flow we have been doing a lot less event/education work. The July Chicagoland Real Estate Connections Club was a great success. James Turner of iGotRehabs did an outstanding job showing our members and new attendees of the evening the secrets to his success wholesaling real estate deals with a full time job! We received positive response from many in attendance saying that it was exactly what they needed to get their own real estate business started OR if it was already started they found what they were missing to really get off the ground! Those types of successes are the only reason we host events so we were incredibly pleased! In August we normally host a summer party but a variety of factors prevented us from doing that this year. We’ll definitely find a way to make it up to our members though! All-in-all it’s been a very successful 60 days. Each member of our team is stepping up in their ability and responsibility and the results of that are showing. That sums up our progress for the time being, we’ll have more for you in September! !